Ewebtonic, responsive web design company in Bihar and we have expert team for responsive web designing services in Patna. If you don't like silence, how will your website can? To reach to the audiences MORE POWERFULLY AND LOUDLY, OUR CO OFFERS responsive web design services to turn your inactive website into active one, by giving it 'fit to screen' mode, so that it can react to the size of user's screen. Our services creates flexible web pages, so that when user browse it on their mobile phones, or tables etc, it becomes adaptable and befitting to the screen. Your customers don't have to sit on a desktop anymore to view your site. We all know that being unresponsive is the worst response to need, as bad as standing and just watching the car wreck. In order to prevent your website from getting being further hammered by the sources outside, we offers our Responsive Designing services which gets receptive to every screen; only layouts gets changed according to the website. This further helps in increasing sales and production by making your website reach to tablet and mobile users, increases your visibility in search engines, Save time and cost on mobile development and enhances user's offline browsing experience. 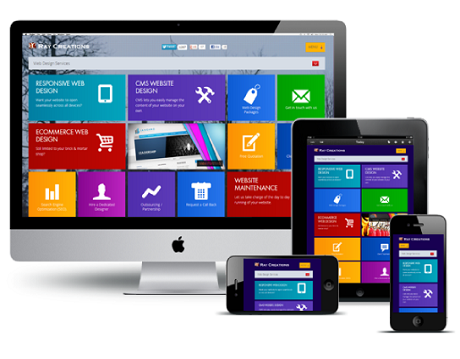 And the best part is responsive designing company Patna solves all your tensions of making another site for mobiles.